Daily News– A well-known lifestyle blogger and fitness model was killed by an exploding whipped cream dispenser, her family announced. Relatives of Rebecca Burger broke the heartbreaking news to her fans in an Instagram post on Wednesday. In an earlier Instagram message, the family explained that the 33-year-old fitness guru was killed by a defective cream dispenser that exploded and hit her in the chest. According to BBC, Burger received medical attention but died of cardiac arrest at the hospital. Am I the only one a little skeptical about this? Aside from the glaring irony of a fitness model named Rebecca BURGER getting killed by a freak whipped cream accident, a couple other things are setting off some major red flags in the old detective portion of The Daily Cruise’s brain. First of all, there is no way in hell that a fitness/lifestyle model is just mainlining whipped cream on the reg. Fat ridden pressurized deliciousness isn’t exactly a staple of her diet, I mean just look at her. I mean come on. I don’t think this chick ingested an ounce of fat or a single carb since she was 15. I don’t know, I just can’t see her clawing for for a can or Reddi-whip at a grocery store, let alone owning one of those industrial barista blasters. Those things take dedication. You have to go to the store, (usually a head shop) and buy a bunch of CO2 canisters, whip up the cream yourself, clean them regularly etc. Its a pain. Just has to be. Don’t get me wrong the story is incredibly sad, I’m in no way playing down the tragedy that occurred , I just can’t see a plastic top like that rocketing into a human chest hard enough to kill a person. 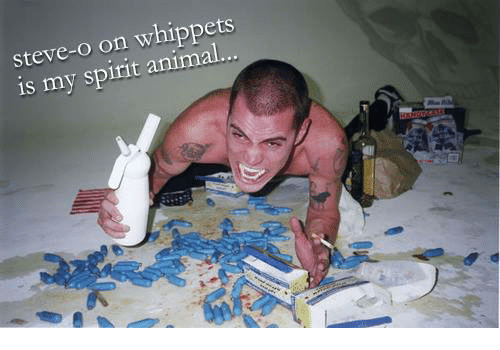 When people overdose on whippets, cardiac arrest is usually the diagnosed cause of death. Just ask the families of Ally Calvert, the families of Joseph Benett, and a medical journal on anesthesiology dating all the way back to the late 60’s. It’s no secret, when you rapidly exhale nitrous oxide from your body, you put yourself at a large risk for cardiac arrest. I’ve tried them a few times in college and music festivals. Fun for a few seconds I guess, but once you realize its just cutting off oxygen to your brain and scooping out brain cells by the second, the appeal certainly diminishes. The exhale is when it really hits you. You can easily pass out if you over do it. Your lips turn blue for a couple seconds, your voice gets really low ( kind of like the opposite of helium). Not good for your body. Also, the details are incredibly vague on what exactly happened. Which piece blew off? What part is defective? Further more what was she doing with it? The only reason you would be holding that canister in a position where the top is facing your chest would be to either inhale some funny gas, or to load up your mouth with some sweet soft delicious whipped cream. Any other use, this thing would be upside down, and eject towards the ground if defective. So again, I know its a tragic story and I’m not trying to detract from the pain and sadness her family is certainly enduring right now. I’m just staying a little woke on this story for now.